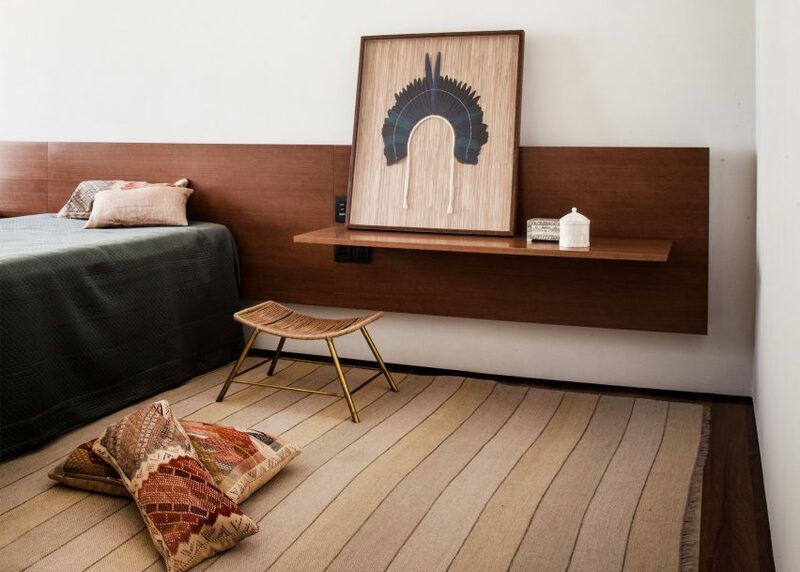 Floor-to-ceiling grids of wooden shelves cover double-height walls inside this luxurious apartment in São Paulo by local office Studio MK27 (+ slideshow). 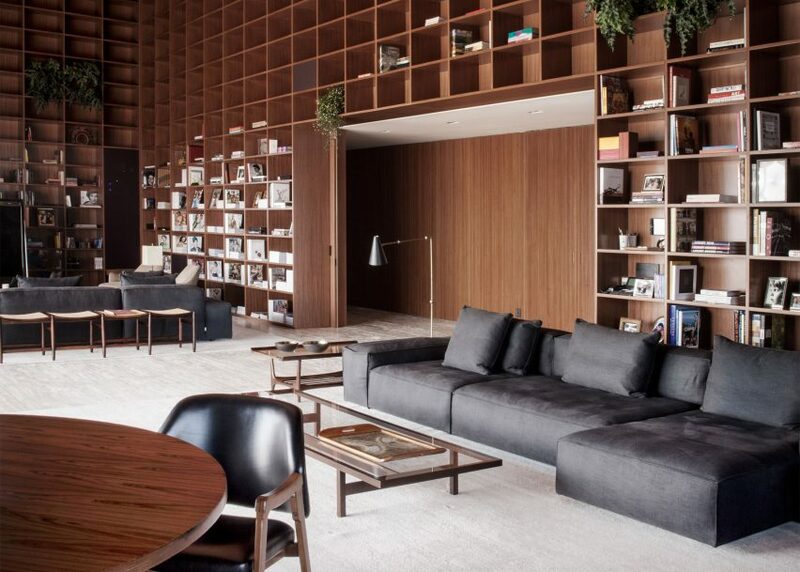 The huge property, named sp_penthouse, is split over three floors that look out over the Brazilian city. 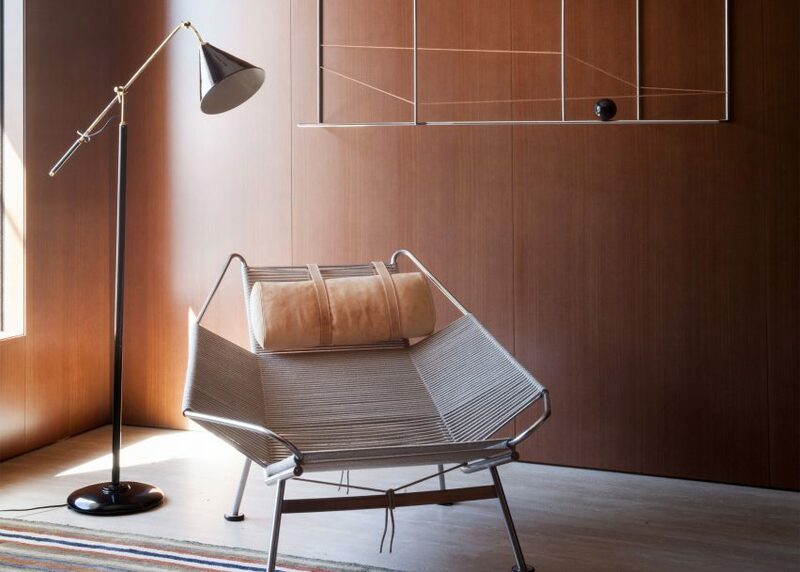 Studio MK27 designed the interior for clients with an expansive collection of art and objects, so provided plenty of opportunities to put these on display. 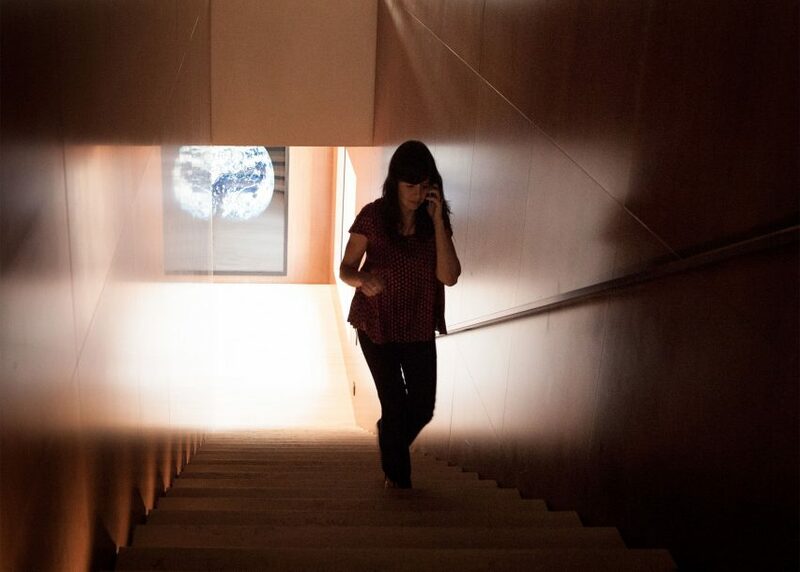 The most dramatic feature is in top-level library, where the high walls are covered top-to-bottom with a shelving grid. 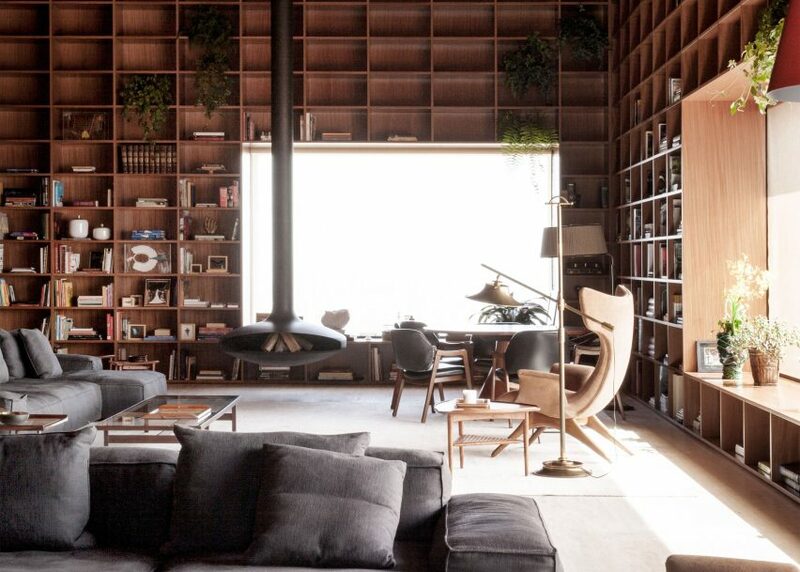 Built from dark wood, these niches houses books, plants and various trinkets. 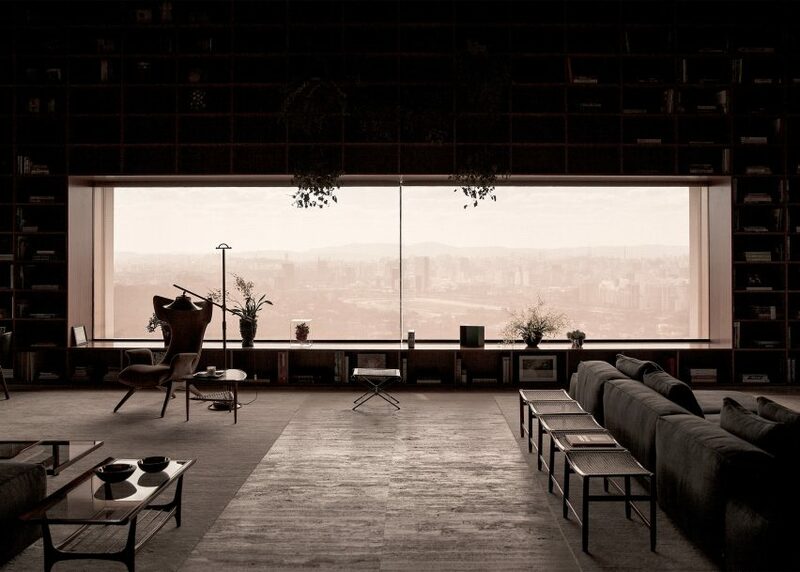 The modules are only interrupted by the entranceway and large windows that provide spectacular views across the city. 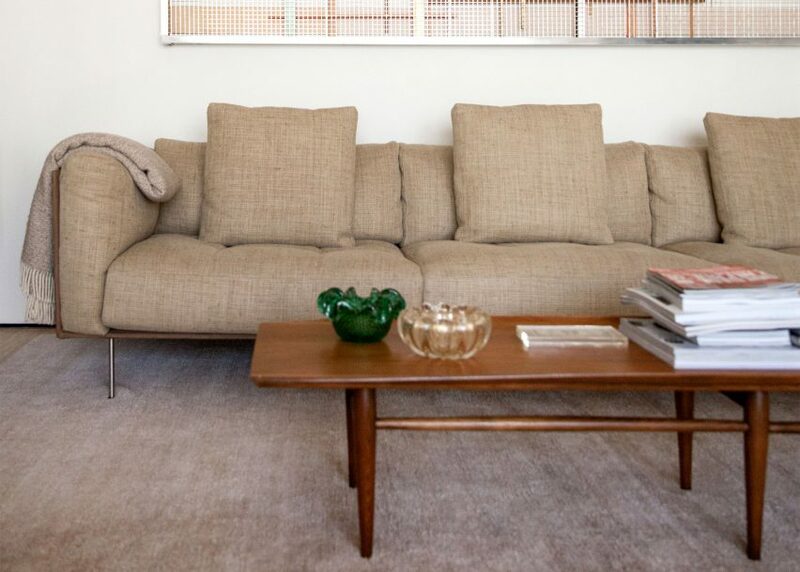 Original mid-century furniture pieces – by designers including Hugo França, Hans Wegner, Franco Albini, Gio Ponti and more – populate the spaces. 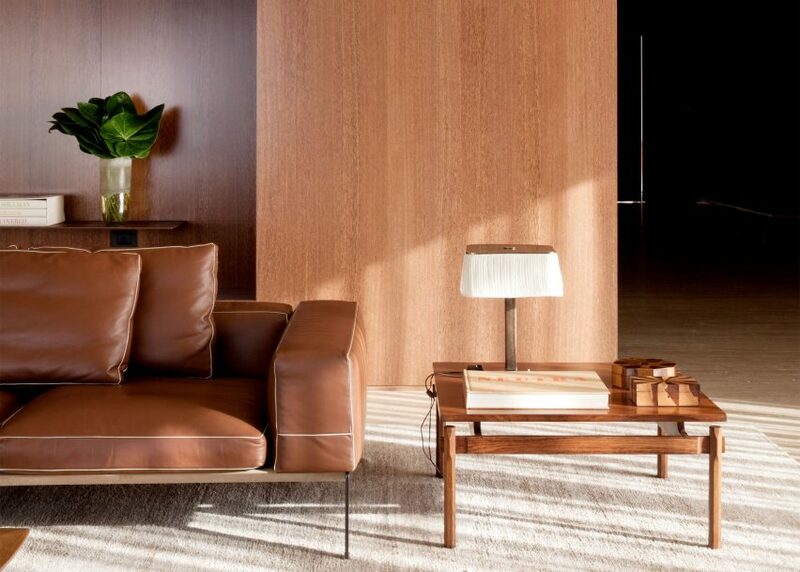 "The fundamental premise was for the architecture to create a cozy and solemn atmosphere, where the fixed furniture of the room – designed especially for this place – would be in harmony with the classical design objects, such as the sofas and chairs," said the firm. 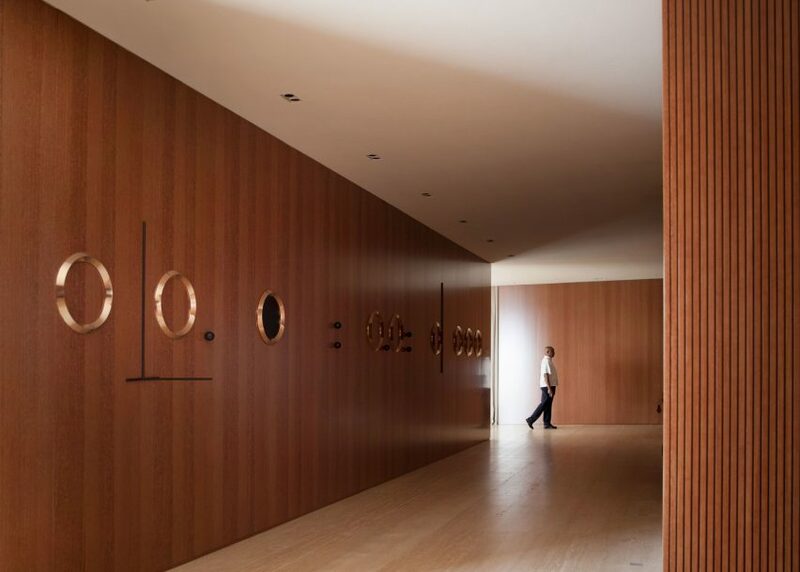 The same wood forms panels across the ceilings and generous corridors on this floor, which act like gallery spaces for paintings and larger artworks. 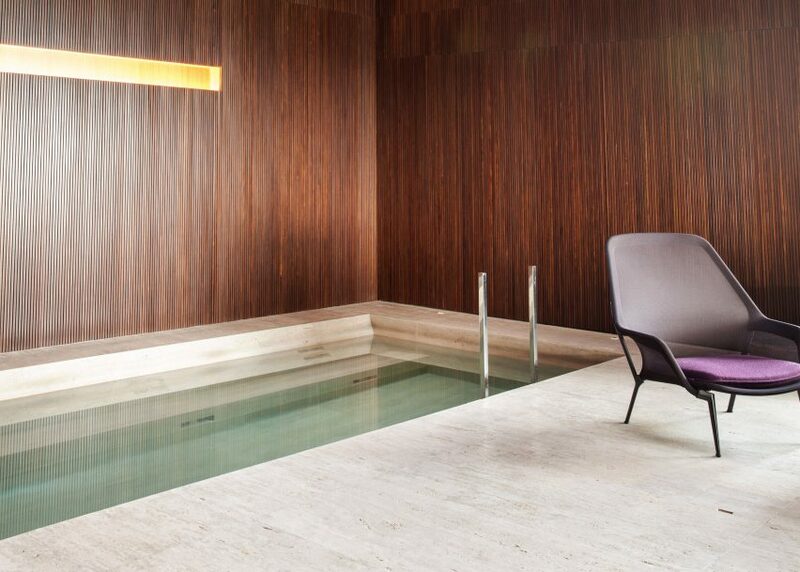 Also on the top level of the penthouse is a spa area complete with a small pool, a winter garden and a gym. 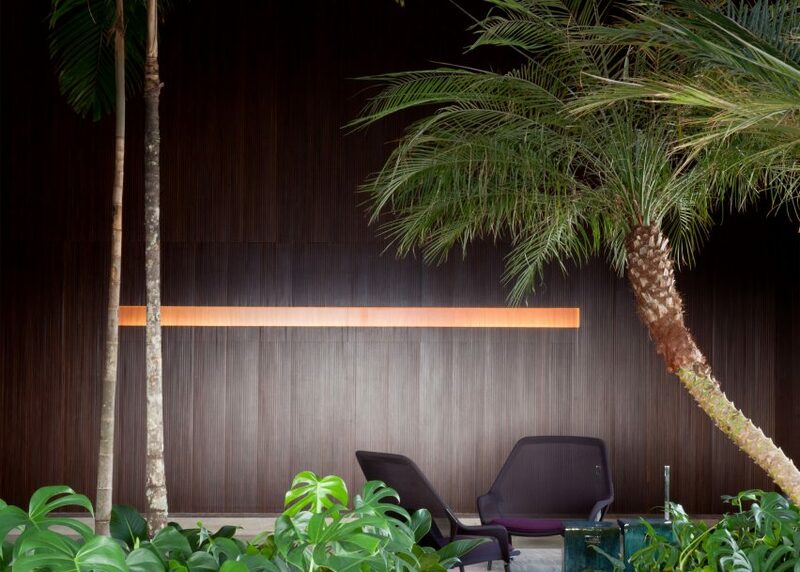 "The pool is positioned in continuity with a dense garden – even having small tress," said Studio MK27, "in this way creating a tropical atmosphere together with the Minimalist place of bathing." 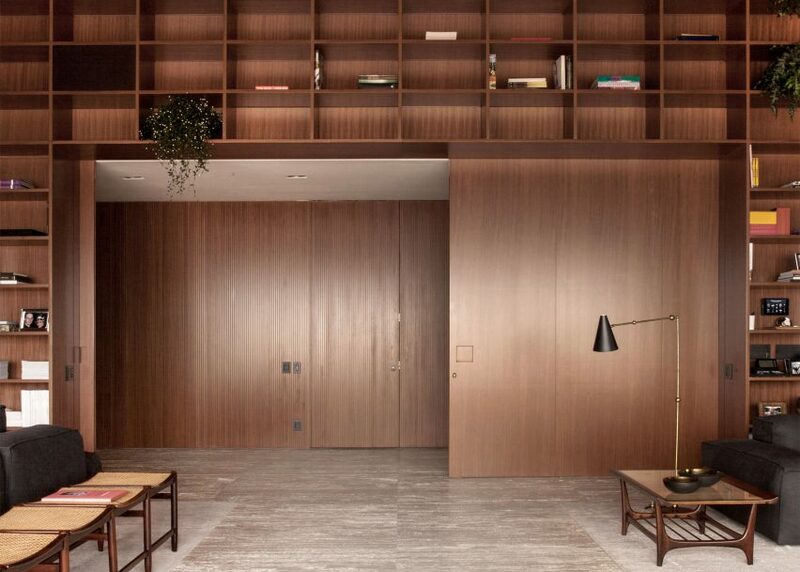 Spaces on the floor below include a kitchen, a home office, a dining room and a living room, while the lowest storey contains the bedrooms. 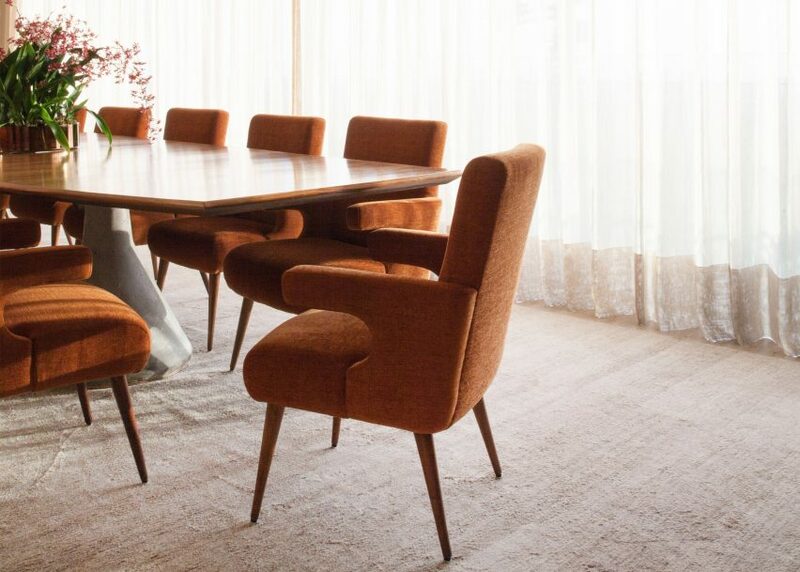 These more private spaces are decorated with softer materials like carpets and linen gauze curtains, all in a lighter palette of ochre and beige. 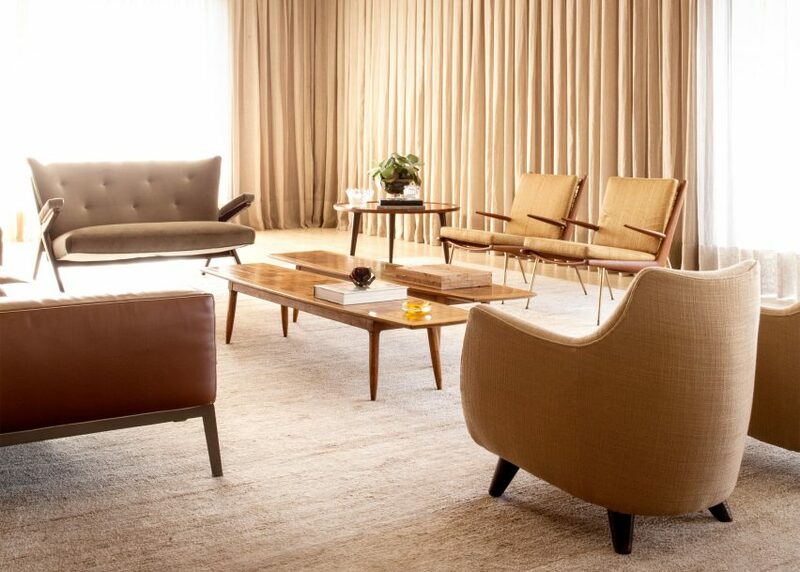 Studio MK27 was founded in the early 1980s by Brazilian architect Marcio Kogan. 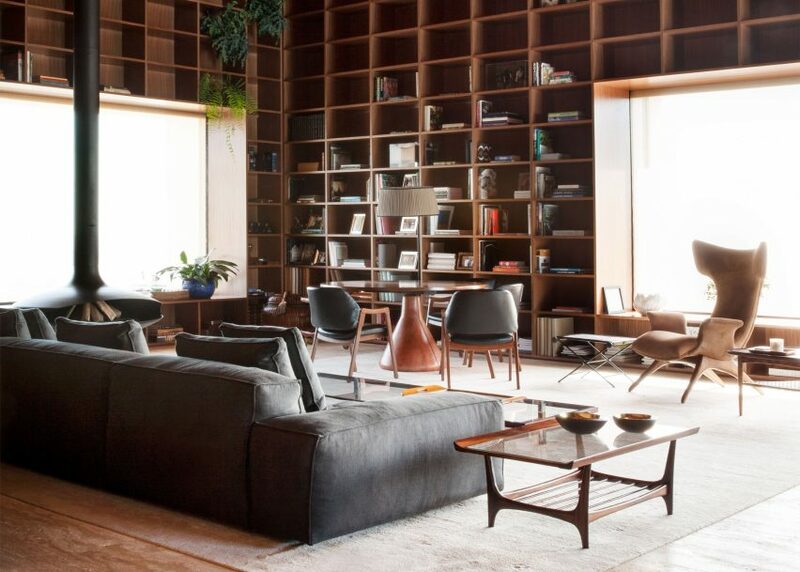 The firm is best known for its large concrete villas, but other completed interior projects include a São Paulo bookshop and a lighting showroom in Rio de Janeiro.